Hello friends, I just want to tell you about one big scam. 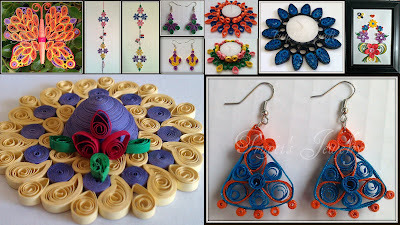 2 days back I received email from one person regarding quotes for 16 x 20 quilling 30 frames. 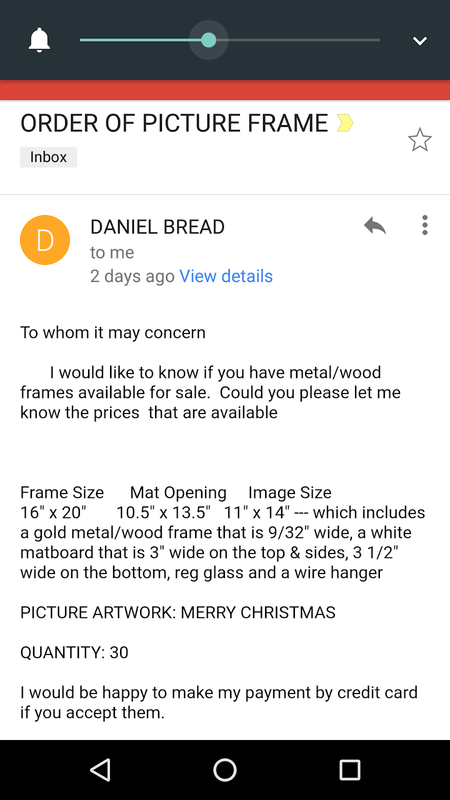 I gave him quotes and then he asked me make 50 frames in 2 weeks and send them to his friend who lived in Virgin Islands. 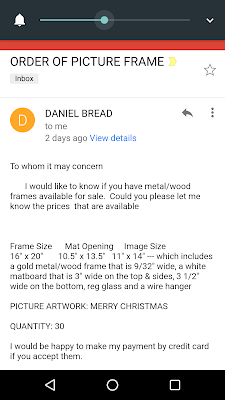 He gave me details of Success Shipping Company and asked me to ship frames with them only. He told me to contact them and get quotes for shipping. 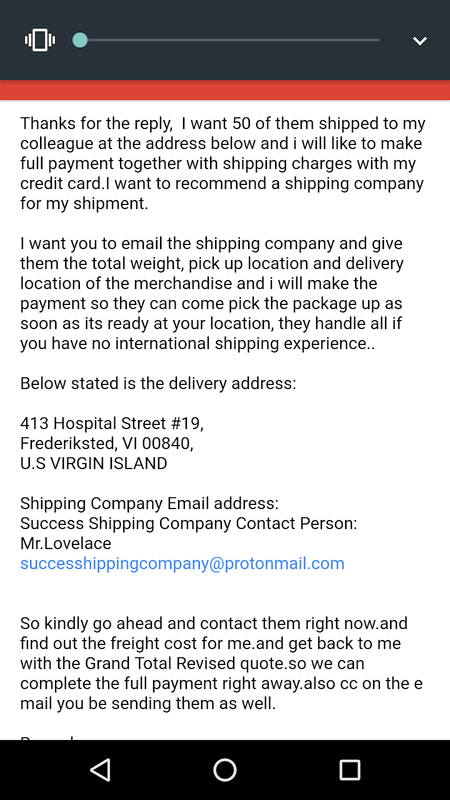 When he asked me to ship Virgin Islands and saw Shipping company's email address I got suspicious so I googled shipping company's name. Then I found few articles about the scam. 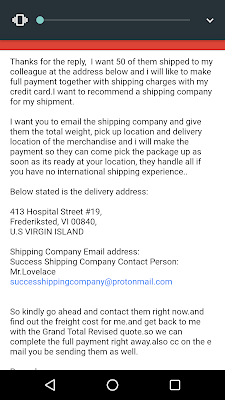 These people contact small business, give them big orders, ship them overseas , they gave wrong cc numbers and says it must be problem in your machine then you can pay for shipping now and we will pay you back etc. After reading this I just emailed him back that I can't make 50 frames in 2 weeks. As Christmas season is around the corner I just want to alert everyone about this scam. I am attaching few screenshot of his email so be careful.